You cannot just go and take a photograph of a person or model if he is a celebrity or a special personality. Ministers, celebrities, and armed force personnel all have their own security and privacy, and you cannot dig into it without taking their consent. 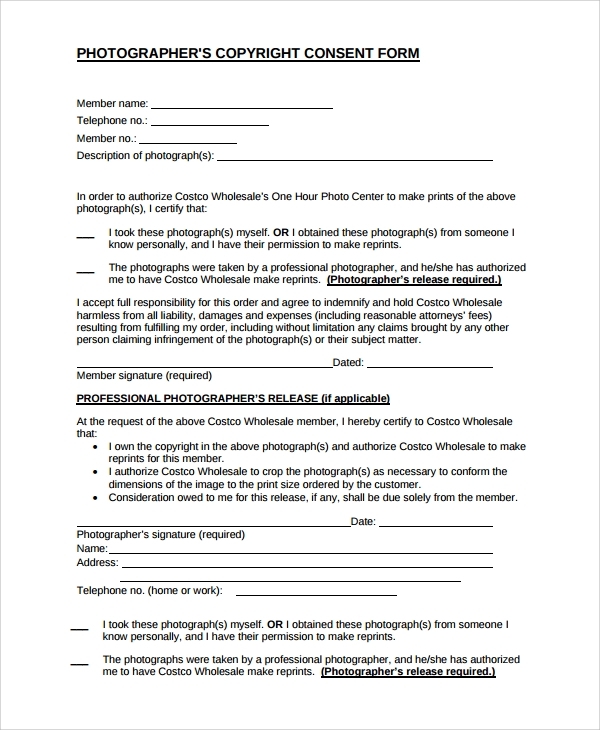 That is why for the professional photographers, this photography consent form is of special usage. 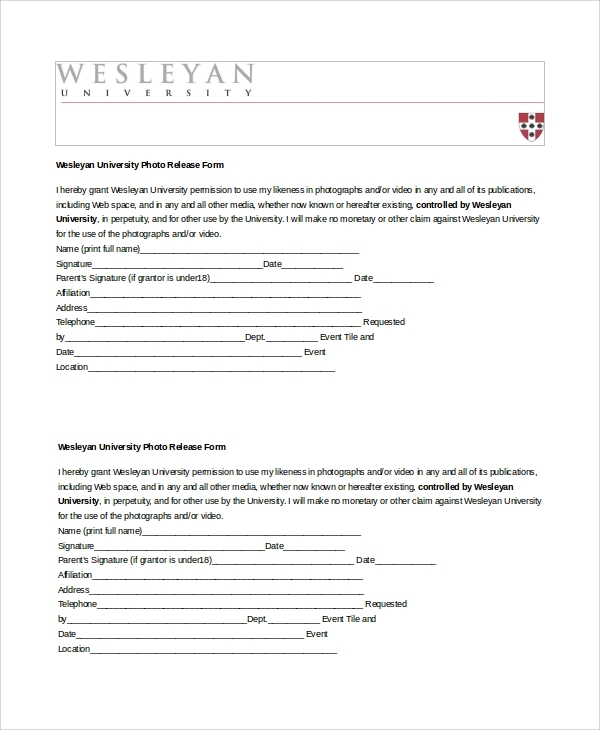 This gives you a ready format to take print and use for taking consent of any important personality before photographing. You can also see Survey Consent Forms. 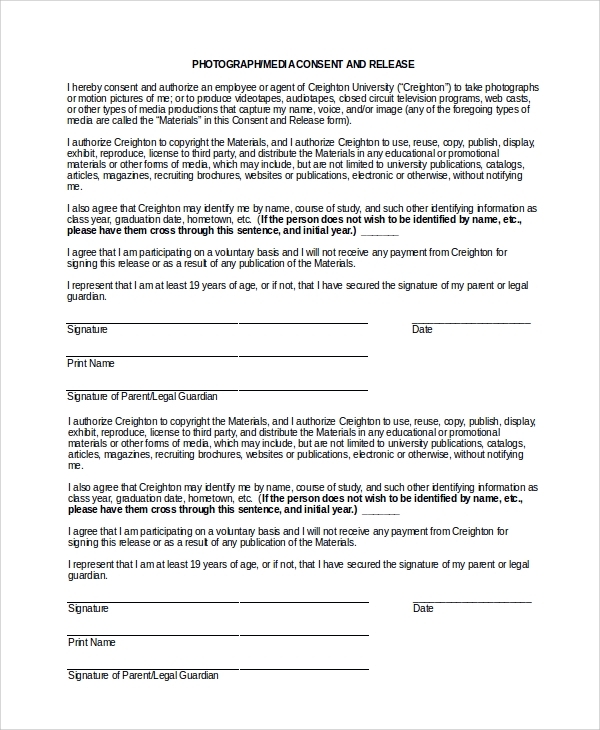 A photographer can take the consent of any person on the form prior to taking snaps. The person will be writing here with a full declaration that the snaps taken can be used for reprinting, publishing, online and print usage etc. 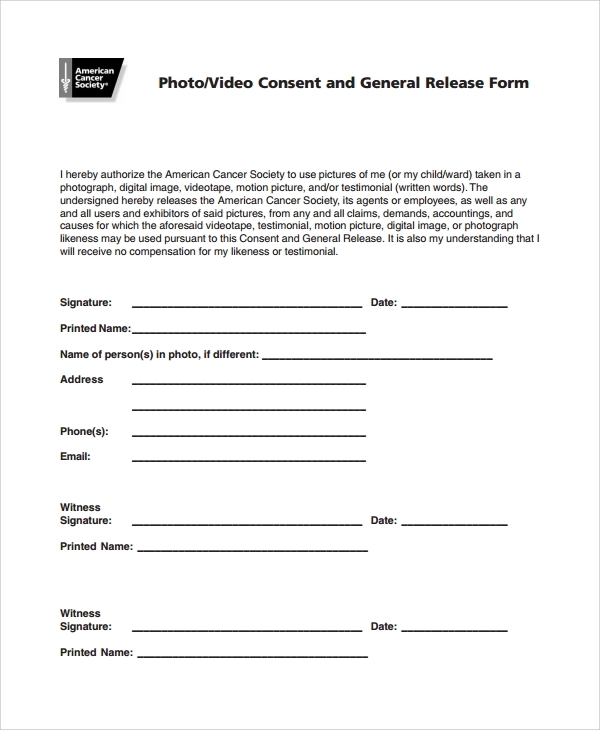 This form is for the general release of any recorded video and gives consent for that. A video photographer would need this kind of consent for to release any video or snap in public as news or research material etc. 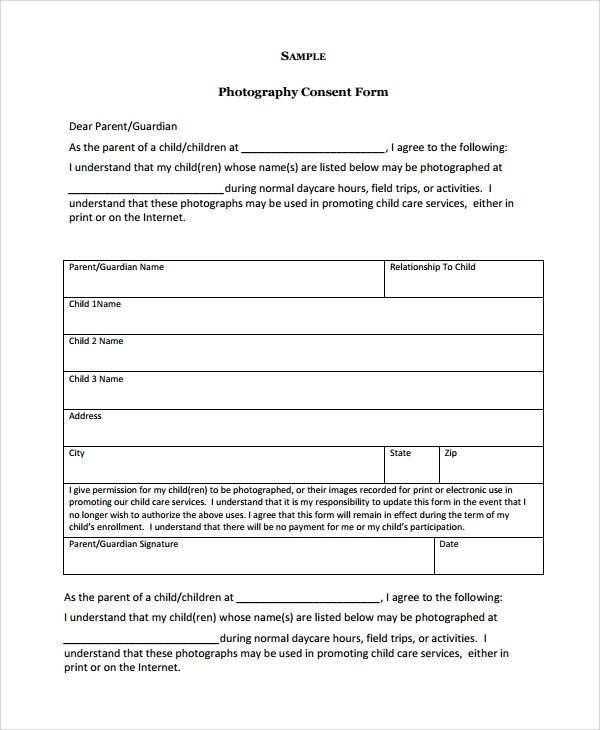 This form is signed by the child’s parents when the school authority asks the parents for their consent, about releasing the child’s photos and credential on any school magazine, brochure, website, advertisement etc. 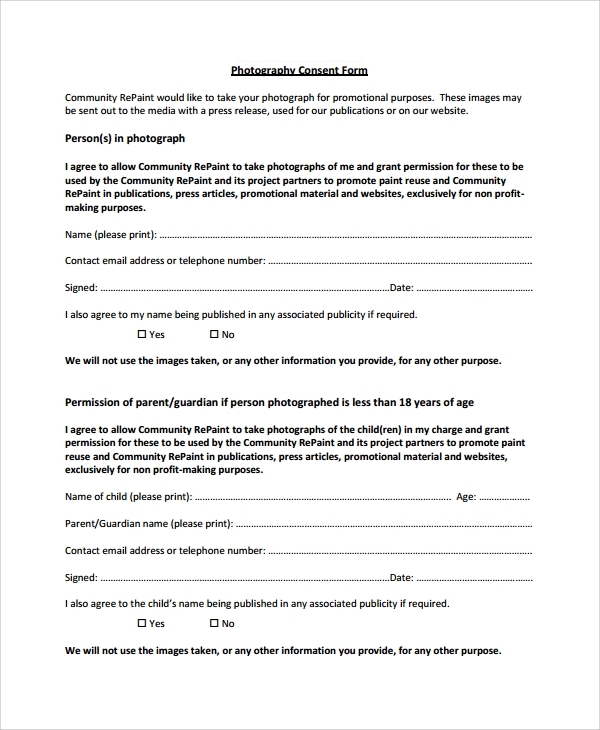 The parent’s consent on the form makes the school eligible to use the pictures etc without any legal issues. 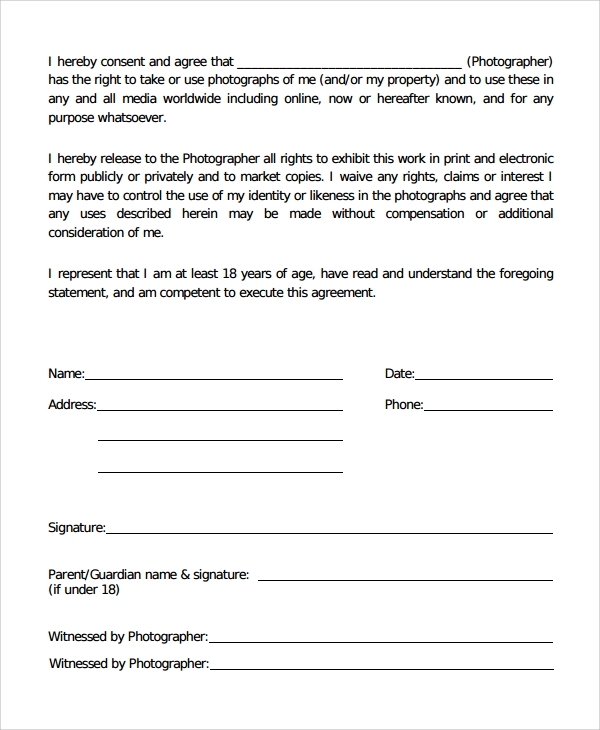 This form is another consent format, where with the name of the photographer, the consent is given by the person, to take pictures of him and his property etc, and use it in future in any other place both in print media and online. 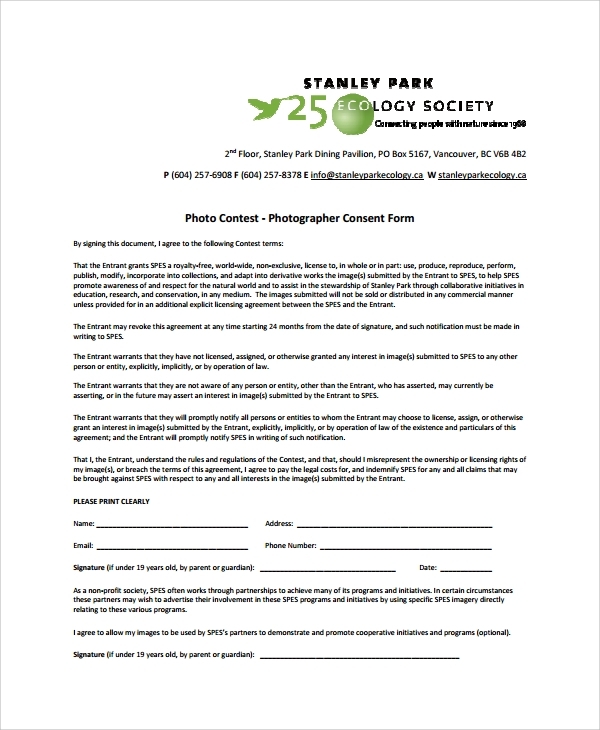 Now that you know the various types of consent forms required for photographing you may now take interesting photographs and keep and use them as PSD files, legally, without any copyright issues or other privacy intruding allegations.